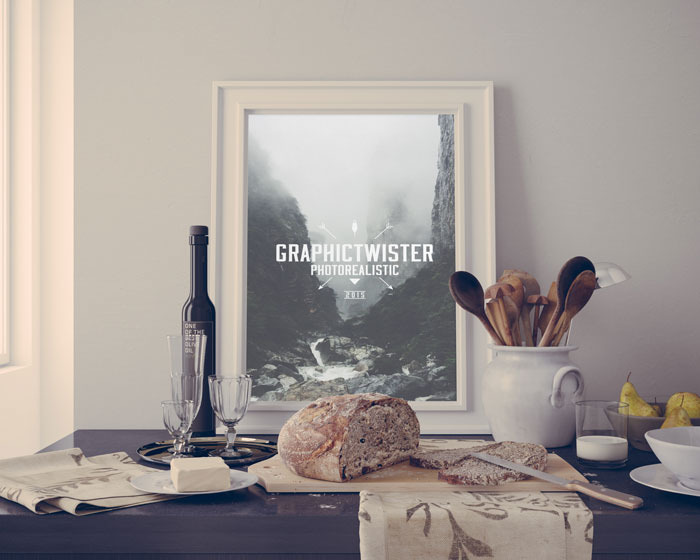 One, but qualitity fresh mockup of kitchen, cafe poster, art. Wine, bread, dishes. Enjoy free psd mockup!